Former gold mining at Rodalquilar in southeastern Spain exploited a high sulphidation epithermal silicified ore deposit that contained significant enrichments in several metals/metalloids such as As, Sb, Bi, and Te. Treatment of this ore took place adjacent to the village and involved physical crushing then chemical extraction of gold using cyanide and zinc. The waste materials from this processing system, contaminated with a range of trace elements, were deposited immediately below the mine, and have been left exposed to erosion. Over the last 40 years these oxidised ferruginous tailings have not only polluted the local drainage system but also provided a point source for contaminated aeolian dust under the prevailing dry, windy climate. Chemical analyses of particulate matter mechanically resuspended from the tailings materials show enrichments in metals and metalloids due to the preferential incorporation of these elements into the inhalable size fraction (PM10). Of particular concern is the fact that these PM10 can contain >1,500 ppm As and >40 ppm Sb. 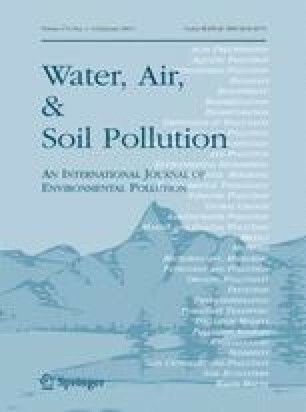 Given that both As and Sb are clastogenic metalloids with proven negative health effects, and that their oxidised forms are especially toxic, such contamination levels in windblown dusts around old mine sites are highly undesirable.